but in the end, I went back for my car and picked them up. 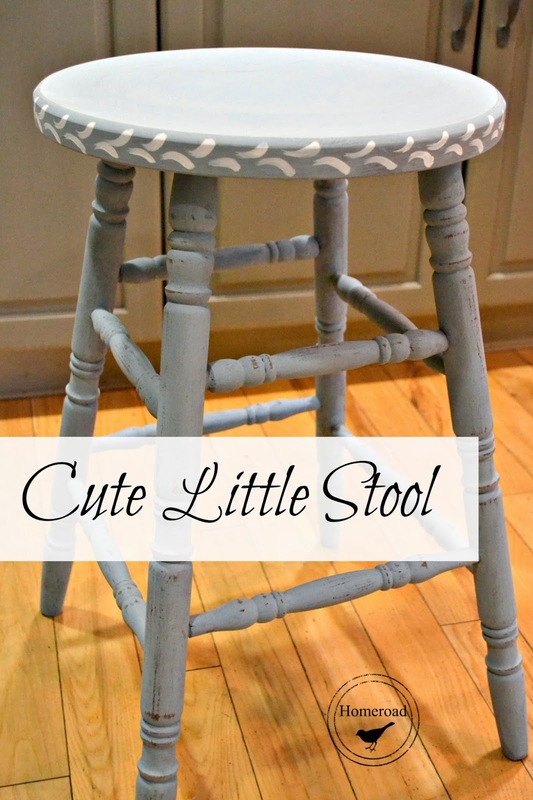 I'm in the middle of painting a hutch in my garage with Miss Mustard Seed Paint in Shutter Grey and while that paint was open, I gave this cute little bench a quick coat. 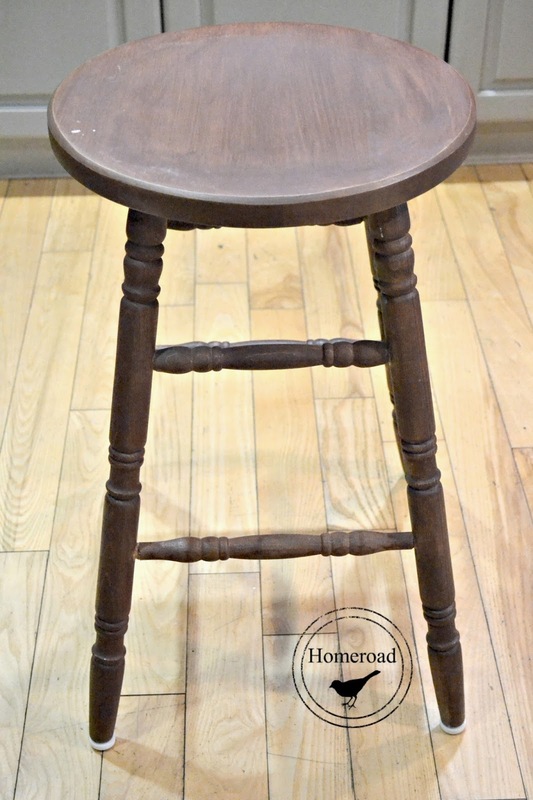 And now I'm REALLY glad I went back for these stools! 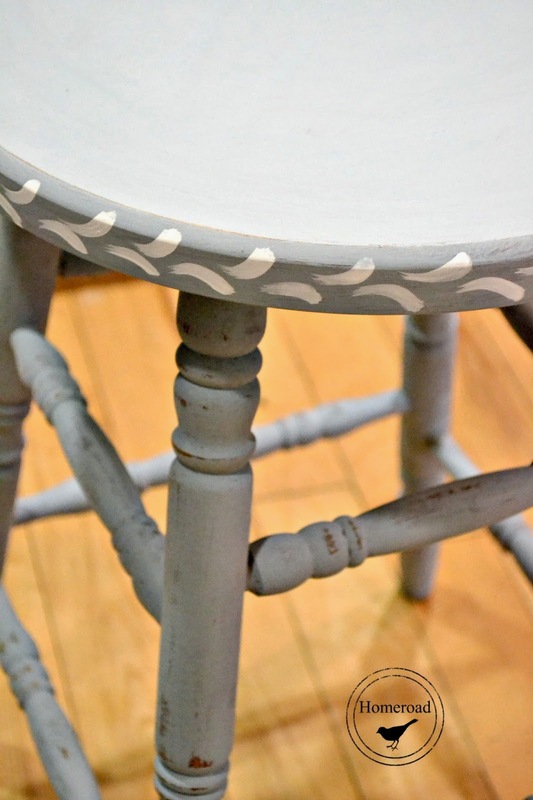 I love this Miss Mustard Seed Milk Paint! They're so nice! Wish I'd found them. 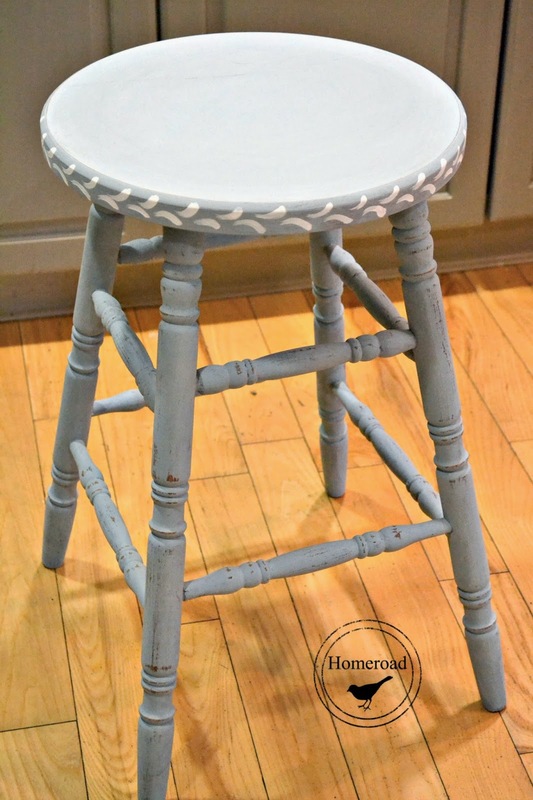 Go over and link them up at the MMSMP milk paint Link Party! It turned out darling, Susan! They look fantastic Susan! Cheers. You did a great job! I'm sharing on FB! Have a great week. 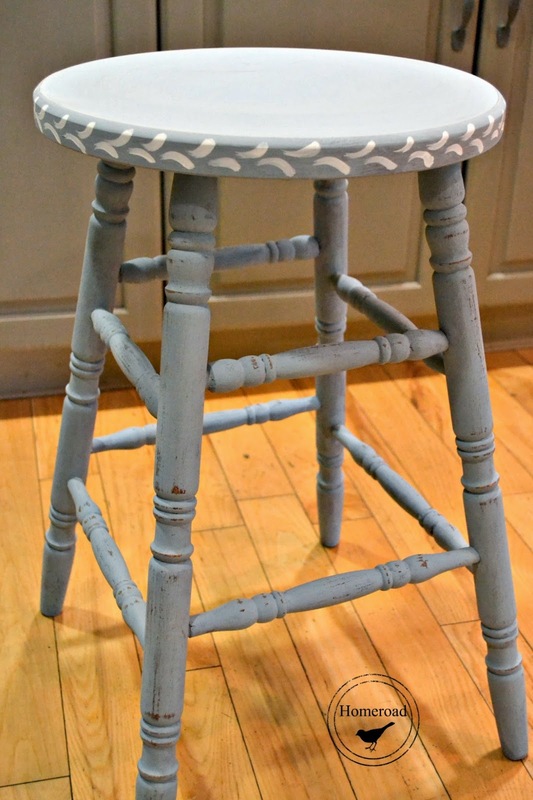 I am in love with old stools lately! These are awesome!!!! Never second guess yourself! Looks beautiful. So cute! I think I just may be the last person in the free world to have never tried that paint. I want some!!! Quick question: Did you go back and distress the legs...and not the seat?